When you feel like you’ve finally advanced to the next level and improved your performance, somebody puts together a workout that knocks you back down again. These Wods often include thrusters. Push-pull movement combinations such as linking them with pull ups, chest to bar, rope climbs and other exercises are always punishing. We gathered six workouts for you to try, and made sure that they are scalable enough for beginners to give them a go as well. We don’t want anyone to miss out on the pain! National Pro Grid League was established in 2014 by Tony Budding. 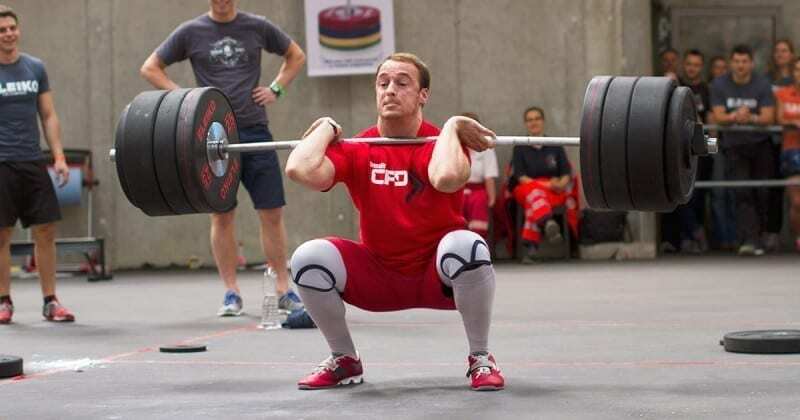 The large team format allows athletes who are specialized in one field get their chance, which means World Champions in Olympic Weightlifting will be an extremely desired addition to the teams. Last year Dmitry Klokov stole the show in the thruster ladder event with a 175 kg lift. For 2015 he signed with Baltimore Anthem and will be a regular player on the GRID in the upcoming season. We wrote about this WOD before, mainly because you suggested it should be considered as one of the hardest workouts ever. Kalsu is a Hero WOD which honours Robert James “Bob” Kalsu (April 13, 1945 – July 21, 1970), a former professional American Football player, who left his sport career behind to serve his country in the Vietnam war. Related: Kalsu and 100 Thrusters: the Hardest WOD Ever? Back in 2013 CrossFit HQ did a workout video together with Rich Froning and Rory McKernan doing the famous Fran with a little twist: 61 kg thrusters and weighted strict pull ups. This WOD topped our chart in the article on top 5 most brutal workouts. Have you ever legless rope climbs after a nice amount of thrusters? Scaled it: use regular rope climbs instead. Last year’s Open ended with a not-so-comfortable burpee thrusters MetCon. The usual scheme 21-15-9 got extended and was upgraded with an additional 18, 12, 6 and 3 reps. Seven is a hero WOD which honours seven CIA officers who died in Afghanistan in 2009. You can find the workout on crossfit.com. Mikko Salo’s time is 19:19. Yours? Have you already tried one of those? If yes, comment below.